On World Refugee Day and just before the European Council, we call on the EU and its member states to assess the impact of the Partnership Framework approach on the right to seek and enjoy asylum, writes Denis Haveaux. Denis Haveaux is director of the Red Cross EU Office. The Red Cross EU Office represents 28 Red Cross National Societies in the EU, the Norwegian Red Cross and the International Federation of Red Cross and Red Crescent Societies (IFRC) vis-à-vis the EU institutions. Adopted one year ago, the EU’s Migration Partnership Framework links migration policy measures with financial commitments to enhance cooperation with third countries of origin and transit. While saving lives is its first aim, we believe that these partnerships disproportionately focus on preventing irregular migration. We are extremely concerned that such an emphasis on facilitating return measures and reinforcing border controls, risks undermining the institution of asylum. Following the perceived successful cooperation with Turkey, the Union is seeking to strengthen its relationships with several other priority countries of origin and transit. However, serious human rights violations have been documented in some of the states identified for potential partnerships. Furthermore, most of the cooperation agreements do not mention human rights and refugee protection safeguards. As the last stepping stone for the majority of migrants on their way to Europe, Libya is seen as a key partner for the EU to stop irregular migration. Through a combination of strict border controls and funding for migration management activities, the EU is working to limit arrivals to its territory, and increase returns from Libya. 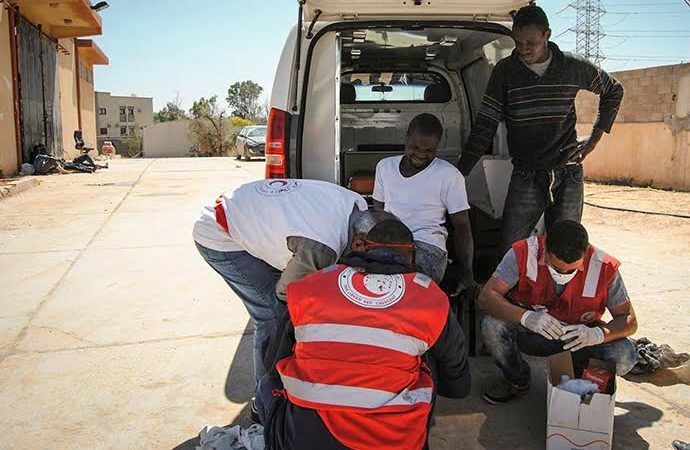 Worryingly, there are currently tens of thousands of people stranded in Libya, with limited or no access to basic services such as healthcare. These people are vulnerable to becoming victims of arbitrary and indefinite detention, and are at risk of being submitted to torture and ill-treatment. This excessive focus on border management fails to properly acknowledge the dramatic humanitarian situation of migrants in both Libya and the Mediterranean. Another example relates to Afghanistan, where continued instability and violence are forcing many to flee. While Afghans are among the top five nationalities of first-time asylum applicants in the EU, return and readmission have become key priorities in EU-Afghanistan relations. Consequently, the EU risks violating the fundamental human rights of failed asylum seekers. This type of cooperation increases the likelihood of migrants being sent back to unstable countries with protection gaps and limited capacities to guarantee the safety of returnees. Refugee protection is a legal obligation for the EU, and current efforts to involve third countries in migration management must not endanger the fundamental right to seek asylum. To honour its international commitments, the EU and its member states need to articulate their strategic relations and partnerships with third countries around considerations related to refugee protection. The EU has the potential to play an instrumental role in advancing refugee protection through partnerships with third countries, contributing more to tackling the protection needs of refugees in regions of origin. Continued support towards third countries through humanitarian and development assistance programmes is critically needed. We therefore urge the European Council to ensure that the terms of cooperation with third countries are guided by human rights assessments and a comprehensive long-term strategy to address migration. A robust migration policy also urgently requires setting up safe, legal routes to protection in the EU. To create a durable solution for refugees in protracted situations, EU member states should expand and broaden the scope of their resettlement programmes. Indeed, resettlement must remain a humanitarian tool to provide vulnerable refugees with protection. However, it should never be made conditional upon third country cooperation in EU migration management priorities. On Thursday and Friday, EU leaders will assess the strategies developed to date, including the Partnership Framework. We hope that they will move forward with a more balanced approach, ensuring that ongoing partnership negotiations recognise the EU’s responsibilities in terms of refugee protection, and demonstrate increased solidarity with third countries.